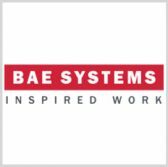 A ship repair business of BAE Systems has won a potential $19.5 million delivery order from the U.S. Navy to update military and technical systems onboard a Ticonderoga-class guided missile cruiser. BAE Systems San Diego Ship Repair will perform depot-level maintenance, alteration and modification efforts during the USS Princeton (CG 59) selected restricted availability period, the Defense Department said Monday. DoD noted the firm-fixed-price order contains a base value of $18.9 million and the base period will run through September 2018. The Southwest Regional Maintenance Center received three offers for the delivery order through previously awarded multiple-award, indefinite-delivery/indefinite quantity contracts.